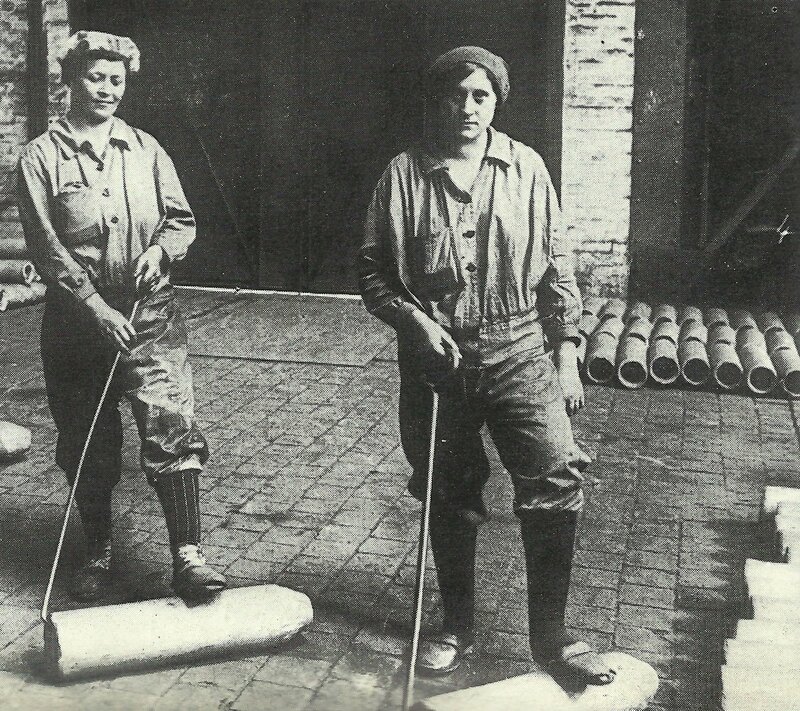 Women transport blanks for 15 cm shells in a national German ammunition factory. Germany: Only 60,000 Auxiliary Service Law Volunteers (mainly women) instead of 200,000 hoped for. Russia: Duma member Kerensky calls for end to ‘medieval regime’. India: Act forms Indian Defence Force (all British European subjects). France: Nivelle letter to government warns of ‘pacifist propaganda’ reaching troops. Somme: British have captured 11 villages and 2,133 PoWs during February. Western Front: End of February British make first pigeon drops by balloon (after 3 agents so sent), 40% return rate by end of war. Atlantic: In February British 10th (Minesweeping) Sloop Flotilla transferred from Immingham on East Coast (Humber) to Queenstown to meet mine threat off Southern Ireland, loses 2 ships in March. 7 Arethusa-class cruisers from Harwich Force and Grand Fleet converted to lay 70-74 mines each (February to November); carry out 35 operations (2,553 mines laid by November 1918). Allied February shipping losses: 254 ships of 500,673t (German figure 520,412t) including record 105 British ships worth 313,486t. Mediterranean toll is 105,670t.